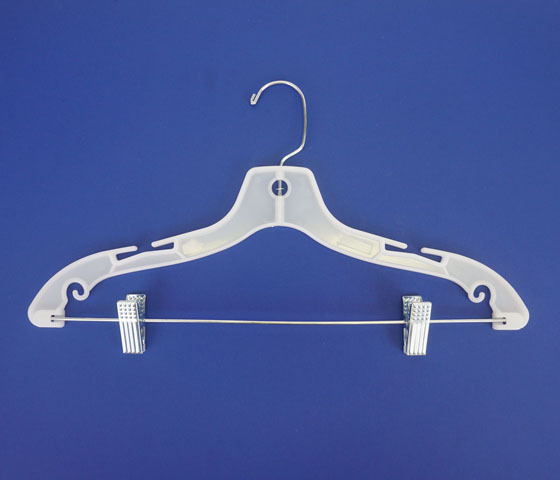 Ladies 17" wide white super heavyweight plastic suit hanger with silver hook features a flat body, a set of notches for hanging straps, and a metal bar with clips for hanging slacks or skirts. This quality hanger is perfect for suits, bikinis and combos. 100 per box.